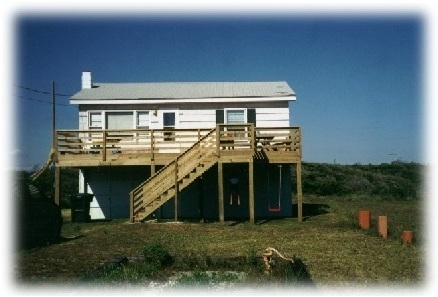 This site is dedicated to our beach cottage, and to vacationing on the Outer Banks of North Carolina (OBX). Along with information about our cottage, you will find useful information about activities, and attractions on the Outer Banks. The cottage is located at milepost 12 on the beach road in Nags Head. Right near Jockey's Ridge and the historic cottage row. The beach is just across the road, and there are lots of other family-oriented things to do nearby. Built in the 1950's by Lisa's Grandfather, Frank Taylor, the cottage has provided decades of summer memories for our family. Lisa and Greg purchased the cottage in 1998. We added central heat and air conditioning, expanded the deck, and installed an outdoor shower with hot and cold water. We use it as a vacation home, but occasionally rent it out to friends.